Sustainable development and human well-being are intricately linked to, and dependent on, the Greater Mekong's remarkable natural support system. If this natural support system is disrupted, the impact on people's livelihoods could be dramatic. Over the past 20 years, the Greater Mekong subregion has experienced rapid economic growth: in the last decade, annual GDP growth has averaged 6.5%. This economic expansion has been fuelled in part by the export of natural resources—often in an unsustainable way. Despite its impressive GDP growth, many in the Greater Mekong subregion remain relatively poor, with poverty levels ranging from 2% in Thailand to 44% in Laos. There is no question that the abundant natural resources of the Greater Mekong Subregion have provided important revenue streams and contributed to the economic development of the region. Water resources support productive fisheries and have been harnessed for hydropower energy production. Productive soils and a favorable climate have contributed to impressive agricultural yields. 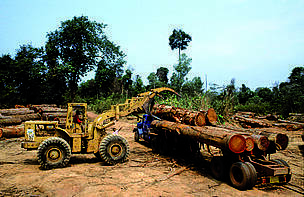 The extraction of mineral resources has benefitted mineral-based industries and forests have provided timber and a range of other products such as fibers, wild foods and medicines. However, these resources are often exploited in an unsustainable way, which has led to significant losses in overall natural capital. Additionally, economic benefits derived from these resources are rarely distributed equitably—leading to a short-term windfall for some while the broad benefits of these rich resources are not effectively realized. Some of the key drivers that impact natural capital are outlined below. Hydropower production and infrastructure construction are drawing foreign investment to the region--with a promise to lift people from poverty and boost economies. However, the realization of this promise, like all life in the Mekong River basin, is inextricably linked to the continued health of the region’s river systems and its fisheries. Thus, it is imperative that infrastructure be designed and sited so that it is an integral part of an overall development plan that maintains the natural capital and productivity of the region’s interconnected ecological systems, especially the river. impacts, such as diminished river-bank agricultural and fishing opportunities. High exposure to severe storms, large populations living in low-lying areas, and relatively low adaptive capacity of institutions make Greater Mekong countries extremely vulnerable to climate change. For the Greater Mekong, climate change compounds existing and projected threats affecting the region’s people, biodiversity and natural resources. This is likely to have cascading effects. For example, water scarcity is likely to lead to reduced agricultural productivity, which in turn is likely to lead to food scarcity, unemployment and poverty. If not carefully conceived with sufficient geographic scope, human responses intended to reduce vulnerability may have unintended negative consequences resulting in increased vulnerability. Population growth, poor land-use planning and economic policies that encourage the unsustainable use of natural resources are among the factors increasing deforestation and biodiversity loss across the Greater Mekong region. Loss of forest habitat and biodiversity weakens the region's ability to adapt to the impacts of climate change. This puts at risk communities and multi-million dollar investments, which become more vulnerable to extreme climate events. "The overall forest area of the Greater Mekong subregion contracted by 8.5 million ha between 1990 and 2005." This trade is further shrinking populations of the Greater Mekong’s most rare and endangered species, such as tiger and sun bear. These illegal activities not only cause the loss of some of the world’s most precious species, but can also fundamentally alter the ecosystems that support both biodiversity and human communities. "Demand in Viet Nam, a Southeast Asian nation of nearly 87 million people and the world’s 13th largest nation, is believed to be driving the rapacious illegal trade in rhino horn today.